This groundbreaking memoir unveils the light and shadows of anorexia recovery—from what it requires to what it can ultimately deliver. At thirty-three years old, Kerrie was managing a freelance career, her three young children, and a closeted battle with anorexia that had plagued the past ten years of her life. But once the mounting misery finally becomes too much, she embarks on a treacherous two-year journey to remission from this lethal and pervasive neurobiological condition. There will be few "personal journey" books that I would ever care to recommend to those looking for guidance on recovery from any kind of harmful eating behaviors, but this book is one worthy exception. 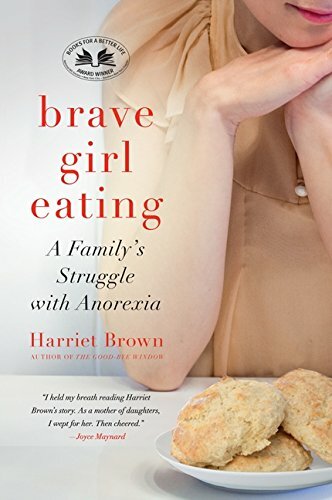 Because the author is the mother of the daughter attempting to recover from anorexia nervosa, and because she is also an accomplished investigative writer, Harriet Brown offers up a clinically-valid process that resulted in a successful recovery for her daughter, and her family. Acutely aware of how triggering many memoirs can be, Brown is cautious of what information she has chosen to include regarding the worst aspects of her daughter's illness.